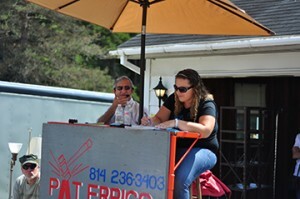 Pat Errigo Auctioneer and Family was established 24 years ago by Pat Errigo. Pat went to auction school at Reppert School of Auctioneering in Indiana. Pat has been a successful business owner with his antique store for over 50 years. He has been a staple member of the community helping out with many fundraising auctions for local organizations. Pat has the necessary skills to make your auction a success. 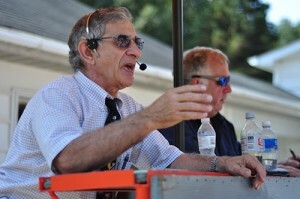 He is a member of Mid-AM Appraisers Association and the Pennsylvania Auctioneer’s Association. Pat’s daughter Stephanie, is also a licensed auctioneer. She has been a licensed auctioneer since the age of 17. She is 27 years old and works as a school counselor full-time at an elementary school. She helps out with every aspect of the auction service such as clerking, cashiering, and calling. The auction business has a special place in her heart, and she enjoys helping her father on her summer’s off. Matthew, Pat’s son, is also a licensed auctioneer. Even though his employment has taken him to Chicago, IL, he still enjoys helping out the family business when he can. Jonathan, Pat’s oldest son, helps out as a cashier. We offer auctions to fit your needs. From real estate to cars or personal property and land, we offer it all. Please contact us to set up an appointment to have a consultation about what our auction service can do for you!